Medical science is finally understanding the power of sprouts and especially broccoli sprouts regarding the prevention and treatment of cancer. From universities, journals, and other organizations Broccoli sprout beverage enhance detoxification of air pollutants in clinical trials. Summary: A clinical trial involving nearly 300 Chinese men and women residing in one of China's most polluted regions found that daily consumption of a half cup of broccoli sprout beverage produced rapid, significant and sustained higher levels of excretion of benzene, a known human carcinogen, and acrolein, a lung irritant. 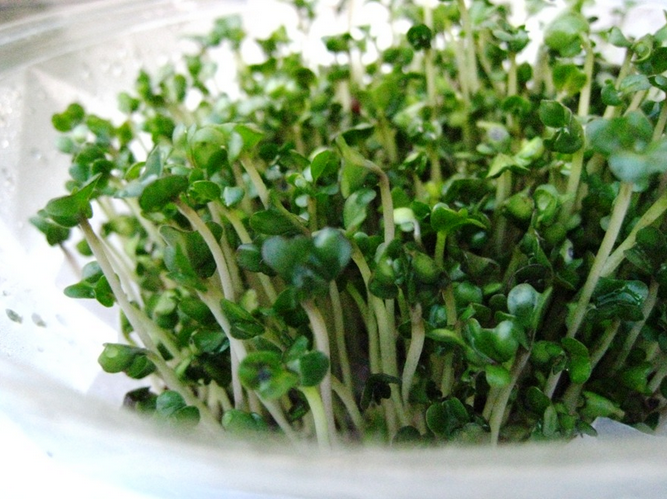 Researchers from the Johns Hopkins Bloomberg School of Public Health, working with colleagues at several U.S. and Chinese institutions, used the broccoli sprout beverage to provide sulforaphane, a plant compound already demonstrated to have cancer preventive properties in animal studies. Air pollution, an increasing global problem, causes as many as seven million deaths a year worldwide, according to the World Health Organization, and has in recent years reached perilous levels in many parts of China. Last year, the International Agency for Research on Cancer classified air pollution and particulate matter (PM) from air pollution as carcinogenic to humans. Diets rich in cruciferous vegetables, of which broccoli is one, have been found to reduce risk of chronic degenerative diseases, including cancer. 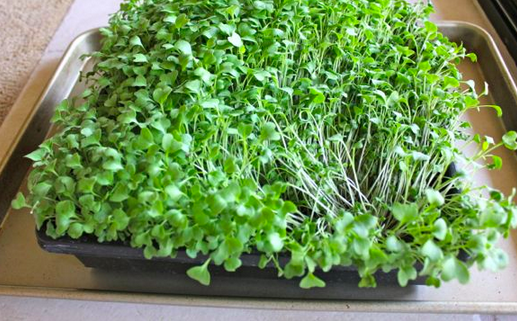 Broccoli sprouts are a source of glucoraphanin, a compound that generates sulforaphane when the plant is chewed or the beverage swallowed. It acts to increase enzymes that enhance the body's capacity to expunge these types of the pollutants. The 12-week trial included 291 participants who live in a rural farming community in Jiangsu Province, China, approximately 50 miles north of Shanghai, one of China's most heavily industrialized regions. Participants in the control group drank a beverage made of sterilized water, pineapple and lime juice while the beverage for the treatment group additionally contained a dissolved freeze-dried powder made from broccoli sprouts that contained glucoraphanin and sulforaphane. 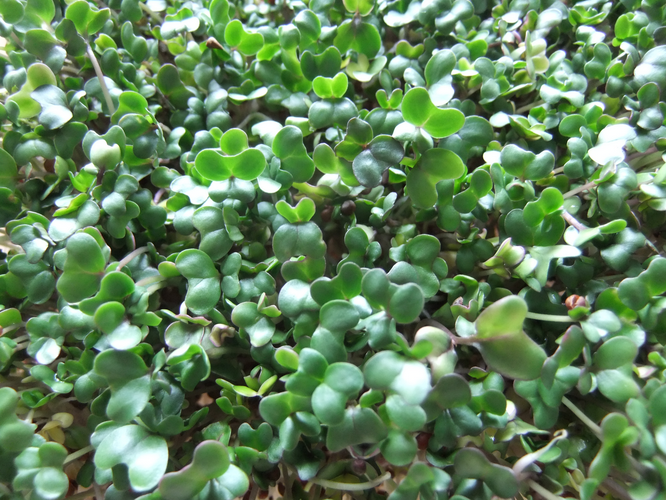 The research team found that among participants receiving the broccoli sprout beverage, the rate of excretion of the carcinogen benzene increased 61% beginning the first day and continuing throughout the 12-week period. In addition, the rate of excretion of the irritant acrolein, rapidly and durably increased 23% during the 12-week trial. Secondary analyses by the investigators indicated that the sulforaphane may be exerting its protective actions by activating a signaling molecule, NRF2, that elevates the capacity of cells to adapt to and survive a broad range of environmental toxins. This strategy may also be effective for some contaminants in water and food. "This study points to a frugal, simple and safe means that can be taken by individuals to possibly reduce some of the long-term health risks associated with air pollution," notes Thomas Kensler, PhD, professor at the Johns Hopkins Bloomberg School and one of the study's co-authors. "This while government leaders and policy makers define and implement more effective regulatory policies to improve air quality." The above story is based on materials provided by Johns Hopkins Bloomberg School of Public Health.